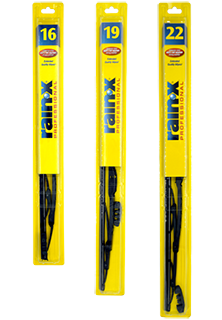 Wiper Blades are a need for every car and everyone. I mean face it, it's going to rain! We have a variety of sizes and two types. We have Weatherbeater and Latitude in sizes from 14" to 28". We have the lowest prices in the nation. GUARANTEED!